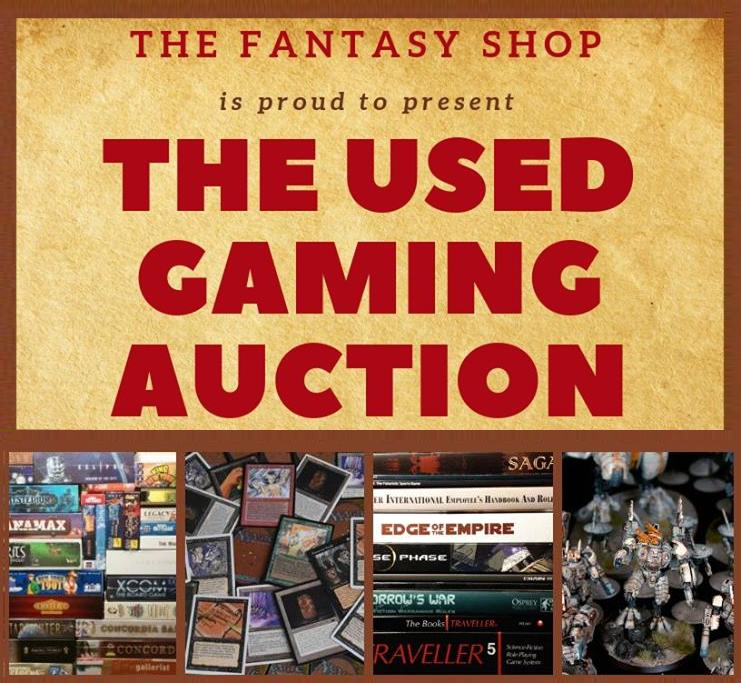 Used Gaming Auction Begins Today! Once Again we're happy to present the availability of pictures of all the items in the auction. Similarly to last year we’ve utlized Google Photos for the galleries for the auction as it allows us to present the items in the highest possible image quality. Silent bidding will be open until Friday November 9th at 11:59pm after which we will close silent bidding but the galleries will remain available for those who attend the auction live on Saturday November 10th and Sunday November 11th to get the best look possible at everything that is being sold. After you submit your bid you should receive a receipt within 15-20 minutes confirming your bid. In the case that you do not receieve a receipt within 24 hours of your bid please use the Contact Us page on the site to let us know. Newer PostDon't Miss December's Sales!